Whether it's a weekend group brunch or you want to have pre-made weekday breakfast options, this recipe is perfect. It's a one pan, 15 minutes of prep deal and the caramelization of the bananas is a mouthful of heaven! 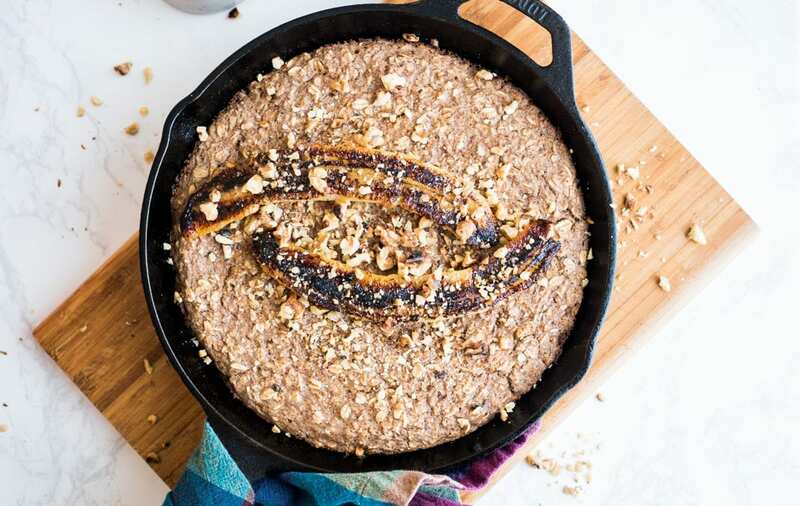 In a cast iron (or other oven-safe) pan, toast the walnut pieces over medium heat for 5 minutes, stirring frequently, then remove to a bowl cool. Add oil, and slice bananas in half length wise, placing cut side down in the skillet. Fry until lightly caramelized, about 3-4 minutes, then remove the pan from heat. Preheat oven to 350F. In a mixing bowl, combine the remaining ingredients and stir until evenly mixed. Pour over bananas, then bake for 25 minutes. 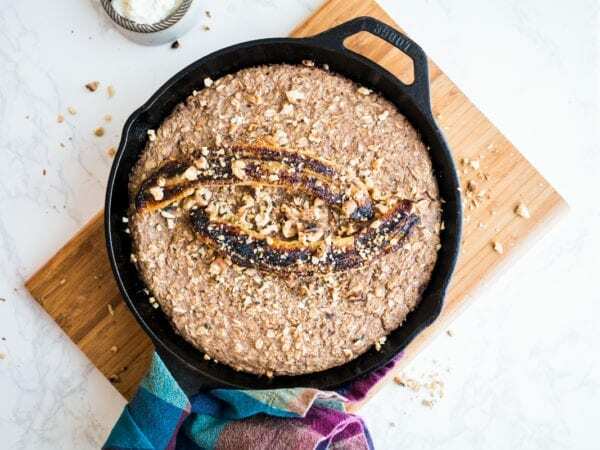 Slice and serve warm, from the pan (or invert onto a plate so bananas are on top!) with greek yogurt, syrup or honey, optional. Leftovers can be enjoyed cold or reheated.